The Music Generation Laois Trad Orchestra was established in January 2016 under the directorship of Paul Finn and Siobhan Buckley. 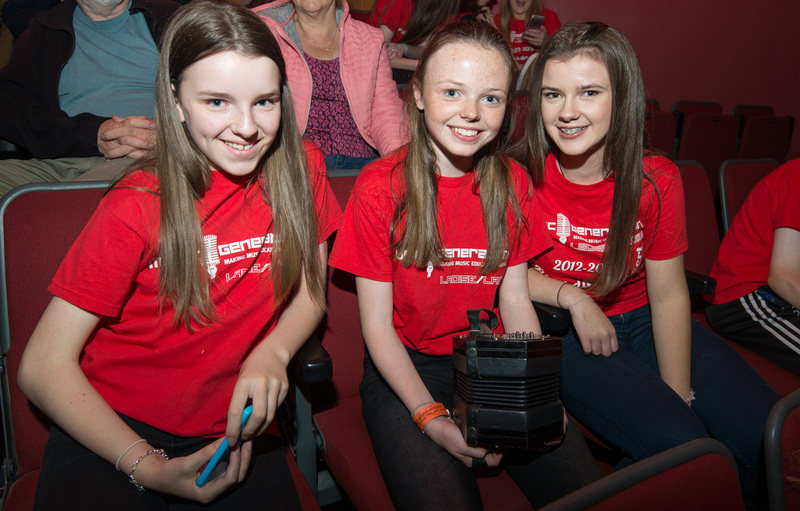 Earlier this year the orchestra collaborated with Donegal Accordionist Martin Tourish to create a new 30 minute suite of music ‘1916 Visions and Voices’ funded by the Laois 2016 Community Fund, Per Cent for Art through Laois County Council and the Music Generation Arts Council Partnership. The music was premiered on the 22 of May, as part of the Music Generation Laois New Works Series, to unprecedented public response! The work has since been performed in Fleadh Cheoil na hEireann in Ennis 2016, and will be professionally recorded in Golden Egg Studio Portlaoise later this year. 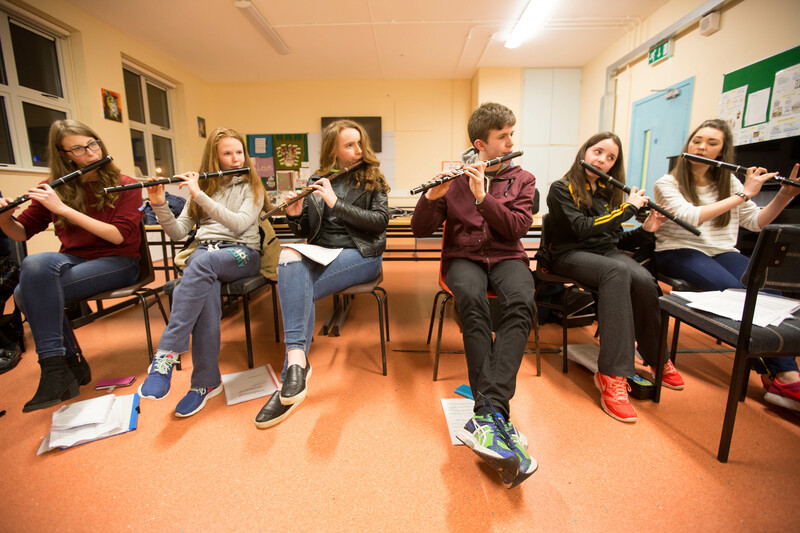 Music Generation Laois are auditioning for new Trad Orchestra members. Auditions will take place on Saturday 8 of October in Portlaoise. This opportunity is for advanced traditional music students with 4 years experience and upwards, and aged 18 and under. Please note: Current orchestra members do not need to re-audition. 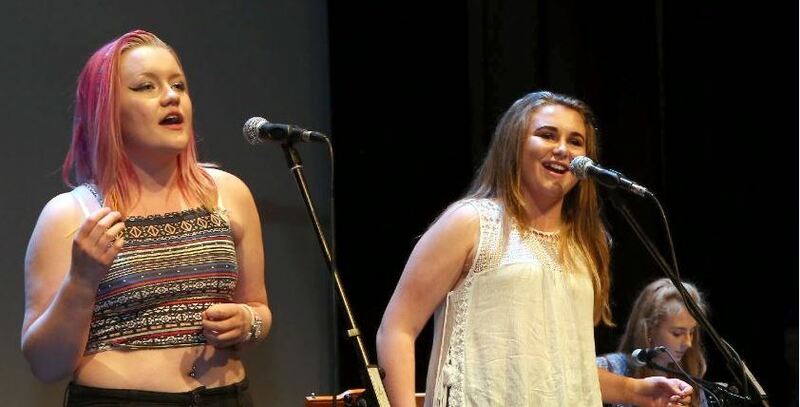 To apply for an audition send an email to musicgenerationlaois@laoiscoco.ie stating your name, age, instrument, and some information about your experience as a musician to-date (no more than 200 words) by 10am on Friday 7 October 2016. Please include your parent/ guardian mobile telephone number. If selected for an audition, you will receive a text message with all relevant info. Applications from parents on behalf of their children will not be accepted.